The Stemen Crew with Mizpah, 44-6939. Back row (l-r): Clifford Greiman (R), Joel Friedman (B-N), Charles Davis (CP), and Carl Stemen (P). 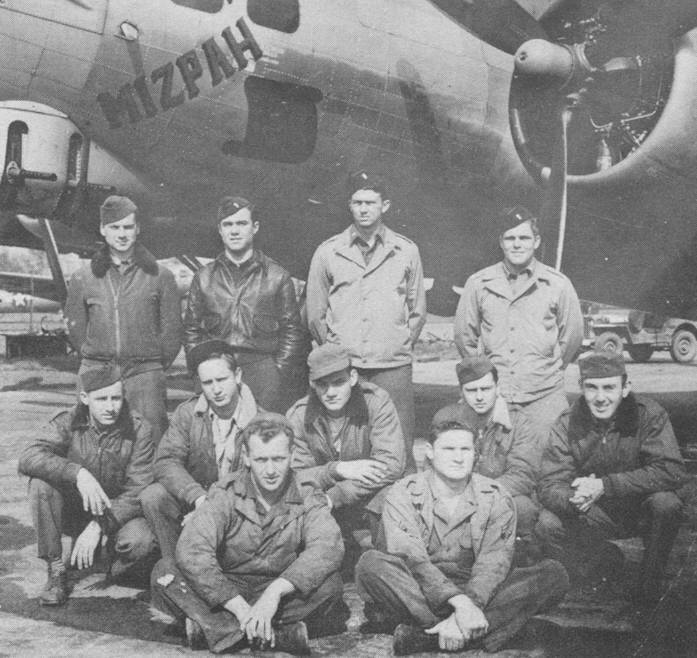 Middle row (l-r): Rex Corothers (BG), Oren Hopkins (G), John R. Oliver (G), Stephen Kopacz, and Donald Kregar (Tog). Front row (l-r): Kenneth Ulm, Crew Chief and Wayne Wright, Ground Crew.